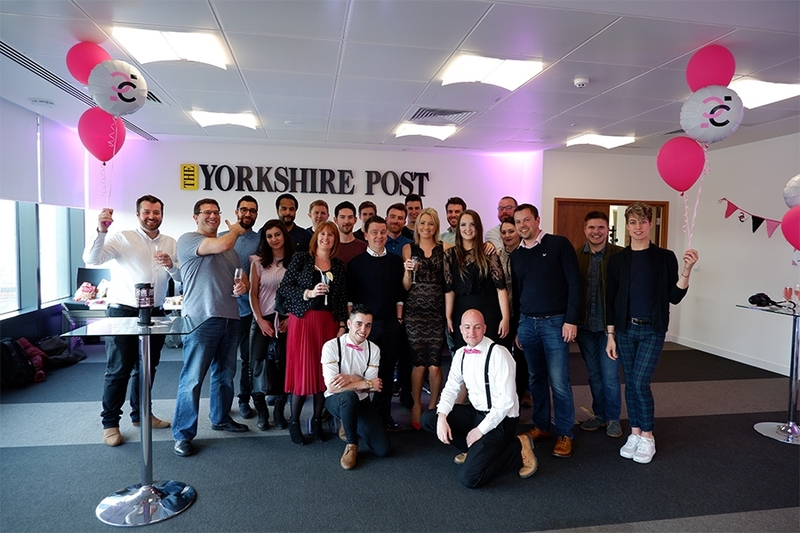 A Leeds-based PR agency has marked its third birthday in business with a fundraising event attended by 50 guests, raising awareness and funds for a local charity. MacComms, which recently moved into the Digital Hub of No1 Leeds, Whitehall Road, held the event on Thursday 26 April to celebrate its birthday and new office. MacComms is the PR partner for Simon on the Streets homelessness charity and, therefore, combined a celebration event for the firm with a fundraiser for the charity. The event saw business leaders network and enjoy an evening of entertainment provided by local suppliers and MacComms’ clients. KwizzBit hosted an interactive quiz alongside music from Sound Leisure’s jukebox and a pop-up cocktail bar by Zest Mixology. Amongst food and networking, delegates raised over £100 through various fundraising games and activities. The event also saw MacComms’ founder and managing director, Ellie MacDonald, speak about her journey to grow the PR agency by 140% year-on-year since formation in 2015. The firm now employs four people with an additional two outsourced directors in finance and HR. “I am incredibly proud of how far MacComms has come in three years. We’ve beat statistics on high start-up failures to have experienced rapid growth year-on-year. I’ve gone from creating my dream job for myself to a whole team of fantastic people who I couldn’t do it without. “My underlying ethos is to create a successful business based on treating people right, and this includes giving back to great causes so tying in a fundraiser for Simon on the Streets was a great way to mark our third year in business. MacComms continues to grow with a focus on supporting Yorkshire businesses and the entrepreneurs behind them in tech and food and drink. Formed in April 2015, MacComms is founded and run by leading West Yorkshire businesswoman Ellie MacDonald who has 10 years’ PR and marketing experience. Three years on since forming, MacComms has helped almost 100 firms to raise their profile. The firm has supported a number fellow start-up’s and SMEs across a range of sectors with a particular focus on tech and food and drink. Clients include The Car Buying Group, Cooper King Distillery and Vanacci. Ellie is supported by finance director, Martin Mellor, HR director Sarah Darbyshire and sales director Chris Rabbitt. As well as experienced account manager Jennifer Ogden, senior account executive Emily Docherty and digital PR executive, Sophie Nightingale. For more information about MacComms visit www.maccomms.net and follow on Twitter @MacCommsYorks.